Foodtest Laboratories Ltd provide a testing service for environmental swabs. The use of a swabbing regime in food production areas will provide assurances that the environment does not contain organisms which may contaminate the food or drink product. Swabbing can also be used as a way to test the efficiency of a cleaning process such as daily equipment hygiene wash downs or hand washing. The results can be trend analysed over time to ensure that any problem areas are dealt with efficiently. The following is a list of the tests that are usually used when assessing the environmental microbiological quality as well as more information on the specific organism. Although any enumeration test can be applied to an environmental swabbing regime the following tests are used more frequently. The results of this test provide an indication of the microbial quality of a cleaned surface. This count is used to give an indication of the hygienic condition at the place of manufacture. It is a useful test for hand washing performance. 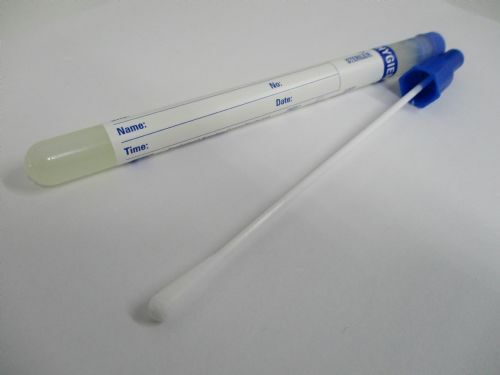 This swab test is usually employed on operative’s hands post cleaning to ensure that the cleaning process is efficient. Although any detection test can be applied to an environmental swabbing regime the following tests are the most used in a food manufacturing environment. Listeria monocytogenes is a key pathogenic organism in chilled foods and the environments where they are produced. Therefore, it is imperative that the organism is controlled in a chilled manufacturing environment. This pathogenic organism is considered one of the most abundant food poisoning organisms. The infective dose in unknown. It is a particular problem in poultry products and raw meats, cross contamination can be an issue in the food manufacturing environment.